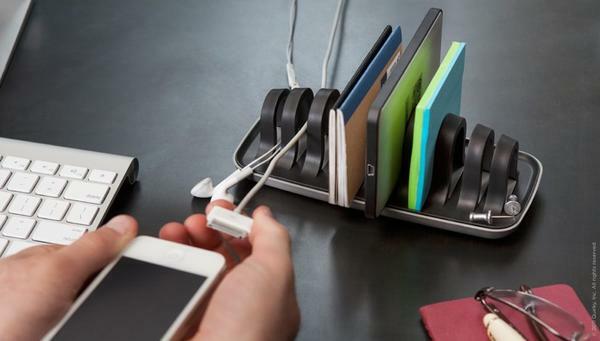 We have introduced many nice desk organizers, while the latest finding is the following creative gadget. If you’re curious, let’s go on checking Cordies Executive desk organizer. 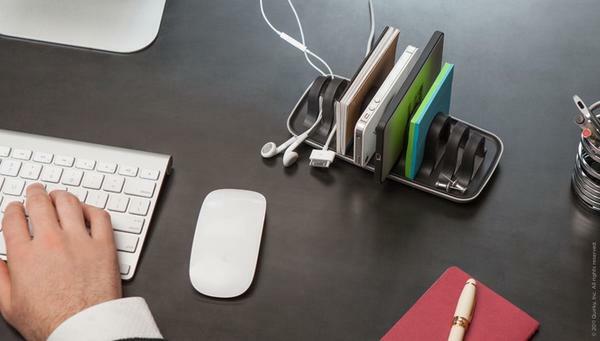 Cordies Executive is a versatile, creative desk organizer that measures 7.65 x 2.45 x 3.50 inches. 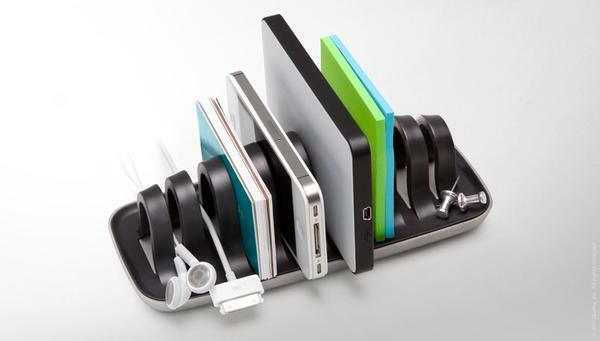 As we can see from the images, the desk organizer features simple and elegant design, and is made of sleek metal with black accents for durability and low-profile look, while the various slots and varied grip widths are perfect to hold all kinds of items such as cables, notebooks, smartphones, chargers and more. Moreover, the tray is able to hold some small items such as paper clips, USB drive, keys and etc. 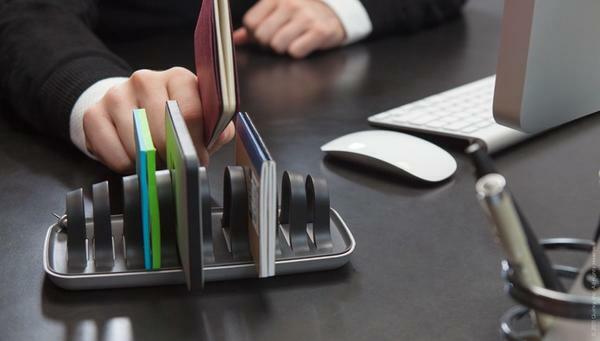 apart from that, the weighted aluminum base keeps the desk organizer securely on your desk. Cordies Executive desk organizer is priced at $24.99 USD. If you’re interested, jump to Quirky official site for more details. Additionally, if you need other options, you might like to check the wood whale desk organizer and more via “desk organizer” tag.